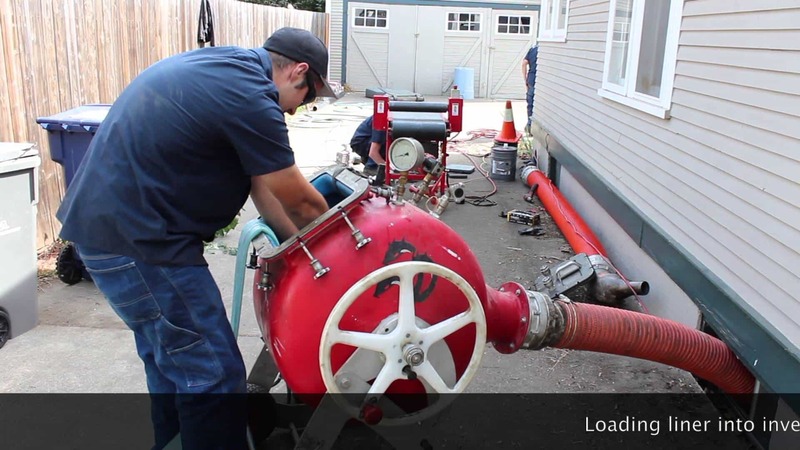 Are you in need of quality Spokane cured in place pipe sewer repair services? Call 509-244-9607 today for top quality expertise at competitive prices. Vietzke Trenchless is the area’s leading excavation specialist offering local homeowners and businesses cutting edge solutions for any underground piping infrastructure problem. We’re very proud of the reputation for excellence that we have earned with our customers. Click here to check out some recent reviews from real people just like you. What Is Cured-In-Place Pipe Repair? Cured-in-place pipe, also known as CIPP, is a state-of-the-art method for repairing and restoring damaged or aging sewer lines that does not require extensive digging or trench work. A flexible resin saturated lining tube is inserted into the existing pipe using specialized technology. The pre-measured length of lining is sealed shut at one end and loaded into an inversion tank. The other end is folded back and cinched tightly around the opening of the damaged pipe. Using pressure, the lining is turned inside out, as it is pushed through the pipe. The lining is flexible enough to maneuver through 90° curves and adopt the shape and form of the existing pipe. Once in place, the lining is left to cure, resulting in a hard, impermeable and seamless pipe. Once completed, a video inspection of the rehabilitated sewer line can be done before reconnecting it for use. Vietzke Trenchless has been a family owned local business for three generations. Our crews are experts in all modern trenchless pipe installation and repair services, including cured-in-place pipe repairs. To get a free estimate for your Spokane home or business, call us today at 509-244-9607.